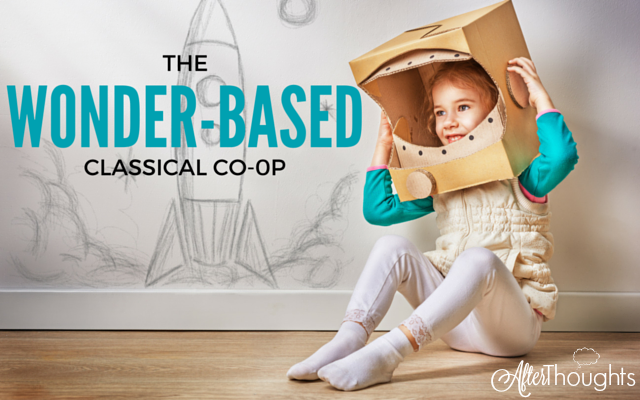 When we started our classical homeschool co-op three years ago, we basically had one model — one experience — of a co-op to base our new venture on. I had been a member of a national classical group for about four months and that was the limit of our experience. There were many things we already knew we wanted to do differently in addition to a our main goal of a more affordable price for our families. We cut the memory work we would do from 24 to 18 weeks. We added a week in between the introduction of each new memory work session to give families more time to internalize and provide context. And on those alternate weeks in between memory work sessions we added history projects, nature study, and handicrafts. And with this plan we rolled along fine for two years. And then our Scholé Sisters group read For the Children’s Sake last spring and I dove into The Liberal Arts Tradition for a class I was taking with Dr. Perrin this past summer. A few weeks into reading the books I knew we needed to make even more changes. I knew at that time that we needed to change the way we approached history. We eliminated the history sentences and instead instituted a narration period where students hear a brief reading and practice learning the skill of narration through the use of different group narration techniques. While we still spend some time memorizing facts, we reduced the overall amount to a shorter collection of the most vital facts. We simply repeat this smaller body more frequently, which frees up time for families to use more of their memory work time for scripture and poetry. It also whittles the body of knowledge down to the most essential, and therefore worth spending the time to memorize. Basically, it eliminates the fluff. We also have been contemplating how to foster the growth of piety in our students. We set aside five minutes at the beginning of the first class to read a responsorial Psalm together and to share something for which they are thankful each day. At the end of the final class of each day we now sing the Doxology, and each student shares with their class one way they have seen God working at co-op that day. The practices are an attempt to keep the students focused on gratitude. We are still trying to think of practical ways to foster piety. Right now that is taking shape with the idea of regular opportunities for service in the coming year. Finally, we have abandoned our more structured preschool program — we’re now choosing wonder over worksheets. The mom who has led our program has always gone above and beyond to plan activities and lessons for the kids, but this year she has been willing to listen to ideas about giving the youngsters time to explore the world around them through simple activities and books as opposed to the more structured lessons she has planned in the past. Now our preschoolers spend their time getting messy with crafty activities, reading good stories, and exploring things though the use of their senses and the arts. And since we cut their formal lesson time to just under an hour, they spend more time in pretend and outdoor play. As a group we are constantly changing, growing, and trying to make things better. It would be easier to simply rest on what we have done before, following the same plan year after year. Instead, I think we are better for continuing to learn and grow and I am thankful for the moms I have who are willing to take this journey with me. Pam is the author of The Your Morning Basket Guide and Plan Your Year: Homeschool Planning for Purpose and Peace. 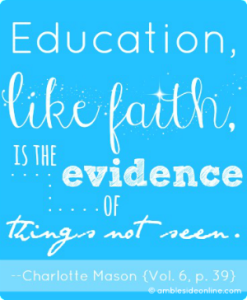 She also is the host of two popular podcasts -- The Homeschool Snapshots Podcast and Your Morning Basket. 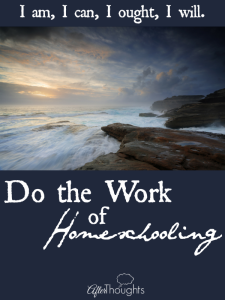 She lives in the ​Deep ​South with her husband and three kids, where she is the go-to lady for great curriculum recommendations or a just a pep talk on a rough day.​ ​She puts her penchant for finding awesome resources and her gift for breaking big tasks into small manageable steps to work at Ed Snapshots, a helpful blog for homeschooling moms. I can’t tell you how thankful I was to stumble on this podcast. I have been a part of CC for 6 years and am looking for a change. What you described sounds like what I have been craving for my students! Can you share your scope and sequence? Do you have a place that I could learn more about your approach? 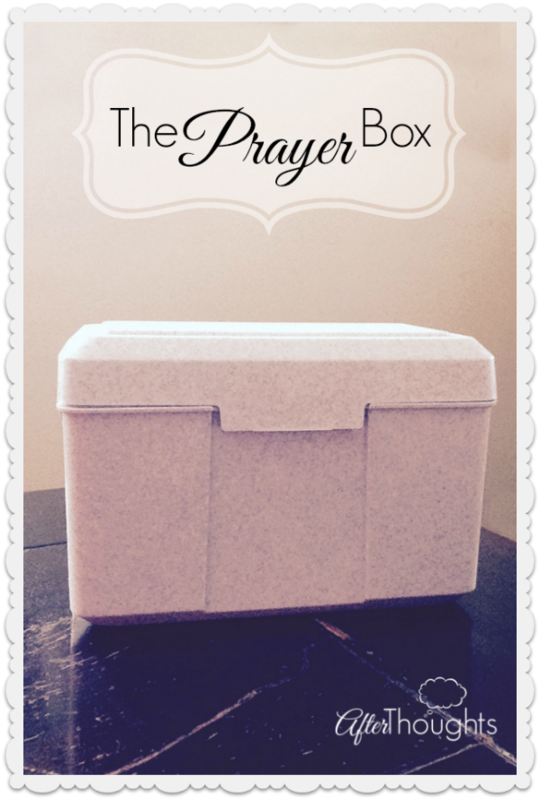 I am so curious and have a group of Cc moms that are also looking for a new way. Thank you for sharing! We really can’t share our scope because of copyright issues. We follow the four-year cycle of Classically Catholic Memory for most things with a few of our own pieces of memory work thrown in. I am interested in the narrative techniques you spoke of used to Teach the children to narrate their history lesson. Could you elaborate? How do you go about choosing what the children memorize after moving away from history sentences. I would love to find such a co-op. The cost of CC is steep for anyone, much less a single mom. Any suggestions on drawing moms to organizing a classical co-op? This is amazing. I absolutely love your make over. How many families did you start with? What ages did you included up to? Is this just a morning make over? 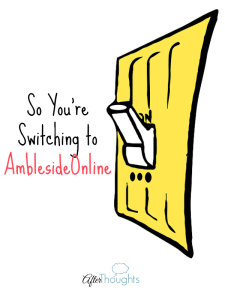 Did the afternoon get a make over as well? I am completely fascinated! And you have all my wheels turning! Well timed; we’re also involved in a nationally known classical program and are evaluating our future involvement with it due to an upcoming move and a variety of other reasons. Any chance you could provide an example? Thanks! Much to think and pray on. Some of these have been MUCH better than others. Next year we move to Ancients and have a much better group of stories to choose from. As for WHAT we have done for narration, our teacher has been guided by some of Brandy’s suggestions for group narration on episode 4 of my podcast: http://edsnapshots.com/ymb4. 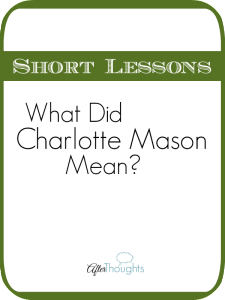 And by the Your Questions Answered Book: Narration from Simply Charlotte Mason which also gave some group narration ideas. 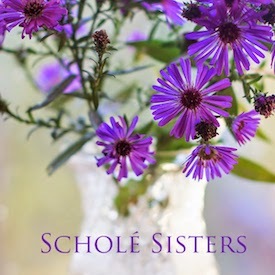 I belong to Schole group as well and we have also been reading ‘For the Children’s Sake’. Could you share examples of the narration techniques and activities have worked well for you as a group? I can easily imagine our children each doing their own narration (oral, written, drawing or sculpting) and then sharing with the group. But I’d also be interested in activities that work well in partner pairs, small groups and larger groups. It’s wonderful when each child can take part in creating something that could not be achieved alone (such as a large scale story-board on poster paper or a play). Amy – As I said above our teacher has been guided by some of Brandy’s suggestions for group narration on episode 4 of my podcast: http://edsnapshots.com/ymb4. 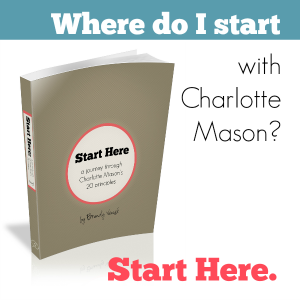 And by the Your Questions Answered Book: Narration from Simply Charlotte Mason which also gave some group narration ideas. Sonya Shafer will be on the podcast Jan 19 to talk more about narration and she gave some great group narration advice in that interview as well. Sometimes our little guys act out the book together. Sometimes they draw as well. I love the large scale poster idea too. I remember a point a few years ago when I was doing history sentences from the CCM program and we came across someone who was mentioned in one of the sentences. I paused and asked, “and what does this remind you of?” and all I got was blank looks. I persisted, “doesn’t so-and-so sound familiar?” and again they all looked at me blankly. I then started the history sentence and they all dutifully joined in. I looked at them, they looked at me. Then I said the history sentence more slowly and one of them said, oh, is that part of the sentence talking about a person? And at that moment I realized that the sentences, while appearing so neat and logical and attractive, were actually completely worthless. Even though I talked about the sentence and the context when I introduced it, the words did not cross into their active memory and thinking. The changes you describe in your co-op sound wonderful, Pam! Kudos to your group for being willing to change and grow. Yes! We were doing the CCM ones as well. I don’t think it is the fault of the sentences, though, just not so great a method. The timeline on the other hand is a different story. The kids are constantly hearing names from the timeline and making connections. 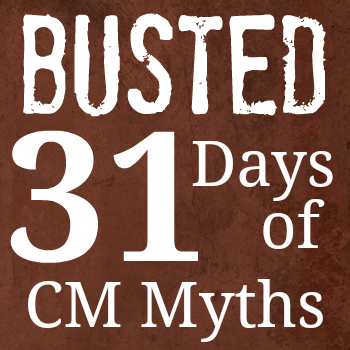 We do it more often (and we do the CM timeline so there is that catchy tune). Yes, I agree, the timeline was much more helpful. I think the history sentences are something that make sense to an adult but just don’t click with most kids. I think what it comes down to is that we’ve been created to learn through stories (after all, isn’t that how Jesus taught?) not scripted sentences and isolated lists. It seems so neat and tidy to adults to try and learn from these formulaic sources, but it just doesn’t match up with what our minds can actually bring in and use well. Liked your ideas on fostering piety, Pam. Thank you. Pam, this post is an answer to my prayers from yesterday! While working on our new memory binders I was struck with the idea that I truly despise history memory work (I haven’t required my kids to do that this year). I LOVE the idea of how to “do” history via narration. I am sharing your article to the gals in our co-op. Great work and thanks for sharing! You are welcome. Yes, we do a book about a historical period on our class week and then on our enrichment week we do some hands-on activity from that same period. So for example, one week they read a picture book about a girl who worked in a factory during the industrial revolution and the next we learned about Henry Ford and the assembly line and they assembled candy cars using an assembly line activity. That is another way we try to bring in the wonder element. So far this year they have roped cattle, panned for gold, built the transcontinental railroad (across the fellowship hall), etc. They love those things. Oh how I wish our co-op was like this. Or even anywhere close! It sounds wonderful. Sharron – If you build it, they will come. 🙂 It is a ton of hard work, but so worth it.